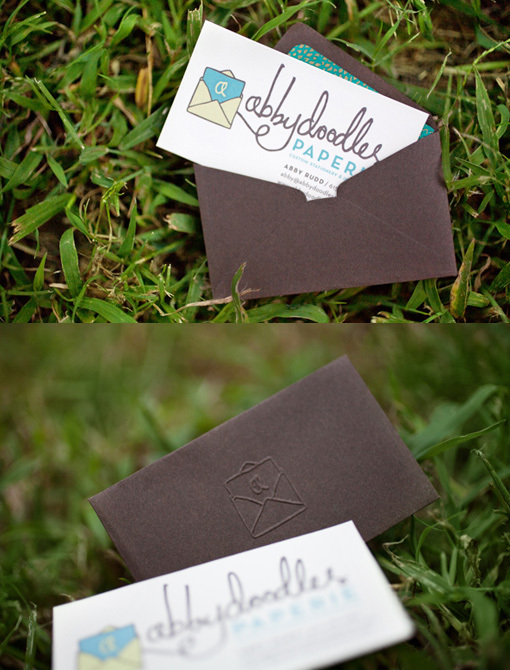 Our goal was to design a business card that creatively and accurately reflected Abbydoodles Paperie, a custom stationery and invitation business. We combined handwriting with a clean sans serif to reflect the client's sophisticated, yet hand-made approach. Because the client specialized in luxe, eco-friendly paper and envelopes, each business card came in an envelope with a unique patterned liner. With a tight budget, the client printed the cards at home and used a hand held embosser on the outside of the business card envelopes.